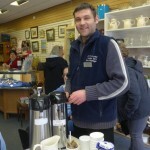 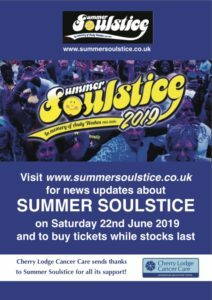 » Home » Recent News » CL Borehamwood Shop – farewell and thank you! 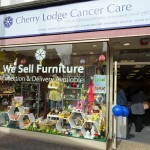 The Cherry Lodge Cancer Care shop in Borehamwood is now sadly closed due to the expiry of the shop lease on 24th March 2019. 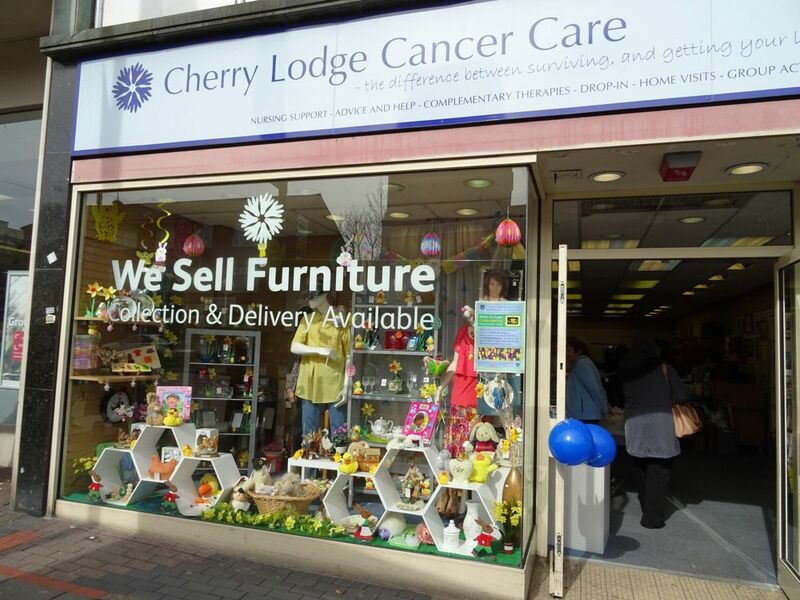 For the past seven years, this large and welcoming shop has been an important source of income for Cherry Lodge, helping us provide our much needed, free information services for local people affected by cancer. 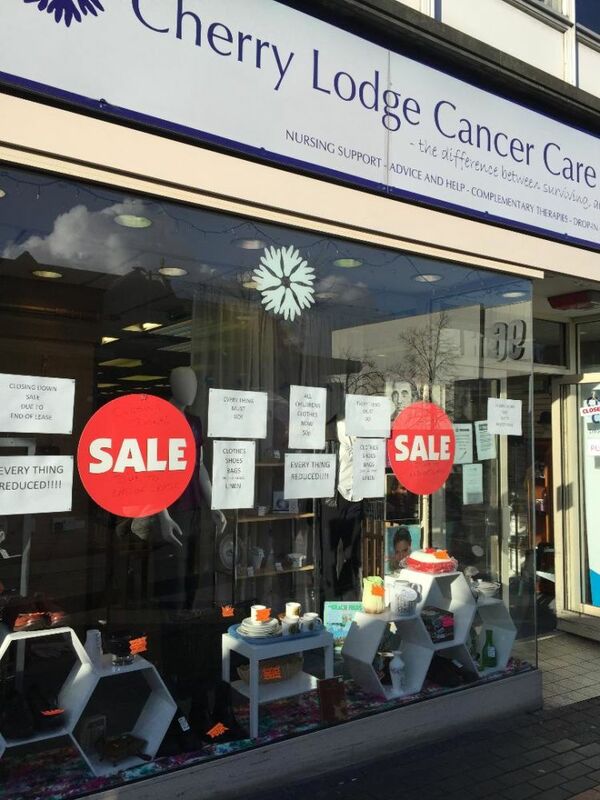 It will be badly missed by those who have worked and shopped there. 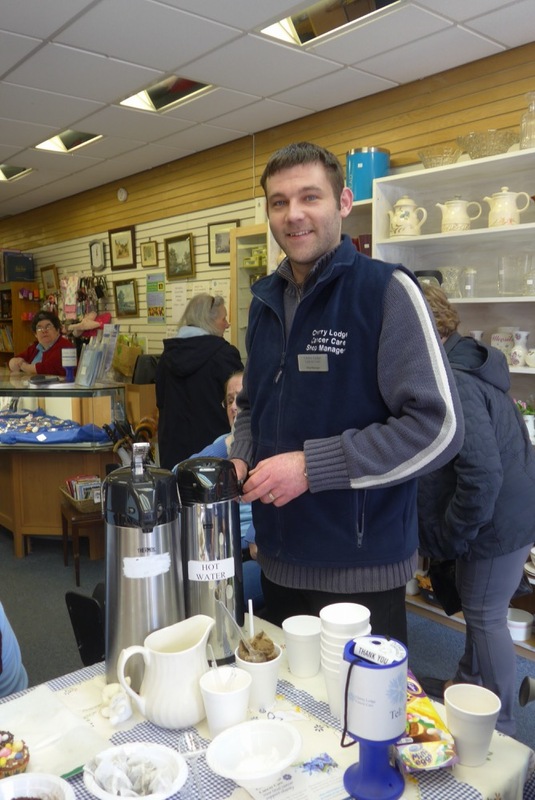 The trustees extend their sincere thanks to shop manager, Daryl Forster, and assistant manager, Terry Forster, who have worked tirelessly to boost Cherry Lodge’s income. 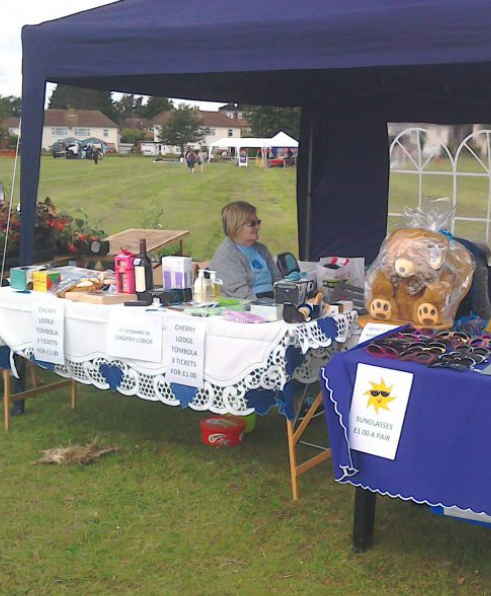 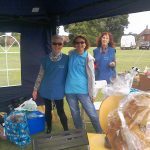 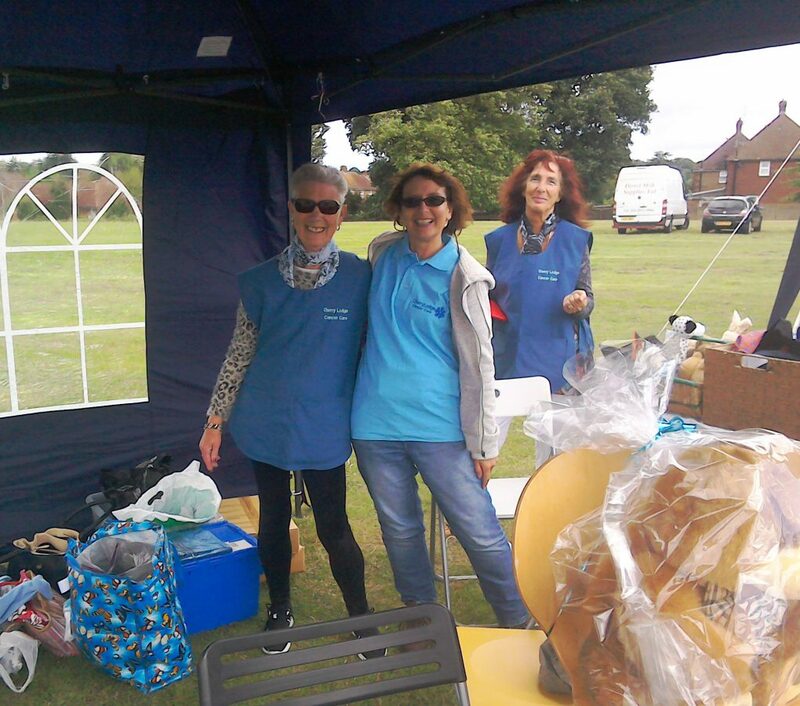 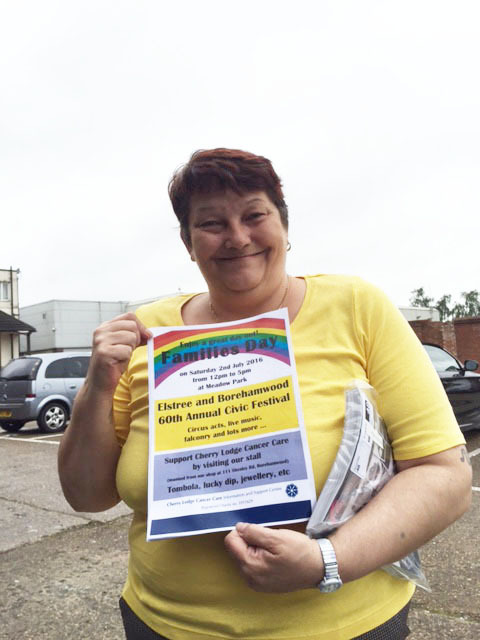 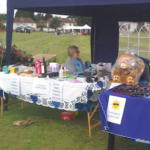 Thank you also to the many loyal shop volunteers who have helped in many different ways – not only serving customers but also, for example, sorting goods and preparing them for sale, keeping the shop tidy, dressing the windows, and manning the Cherry Lodge stall at the annual Borehamwood Families Day. 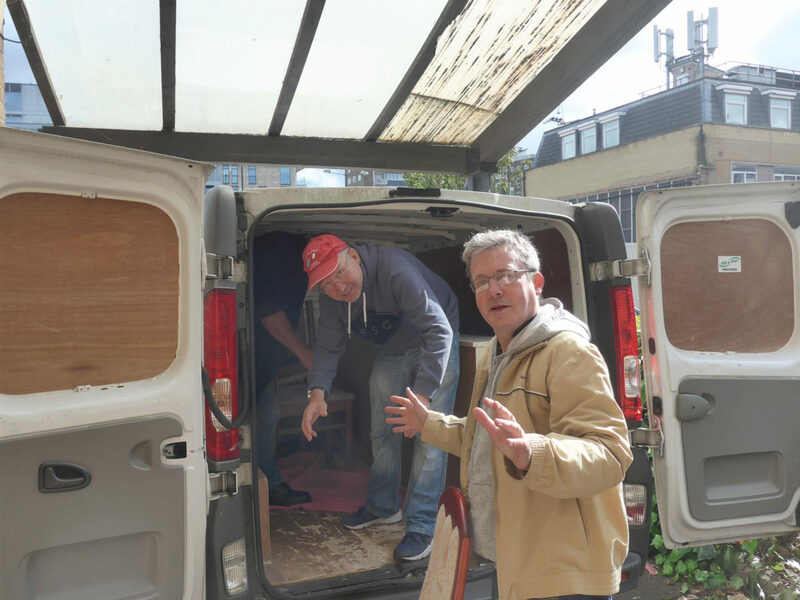 Thank you, too, to the van drivers and helpers who were based at the Borehamwood shop and drove to people’s homes to collect and deliver heavy and bulky items. 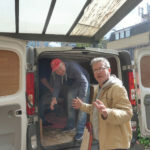 Finally, thank you to everyone who has visited the shop over the years to donate and buy goods. 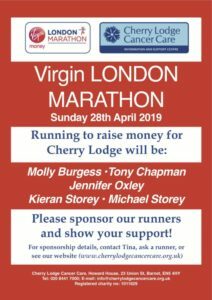 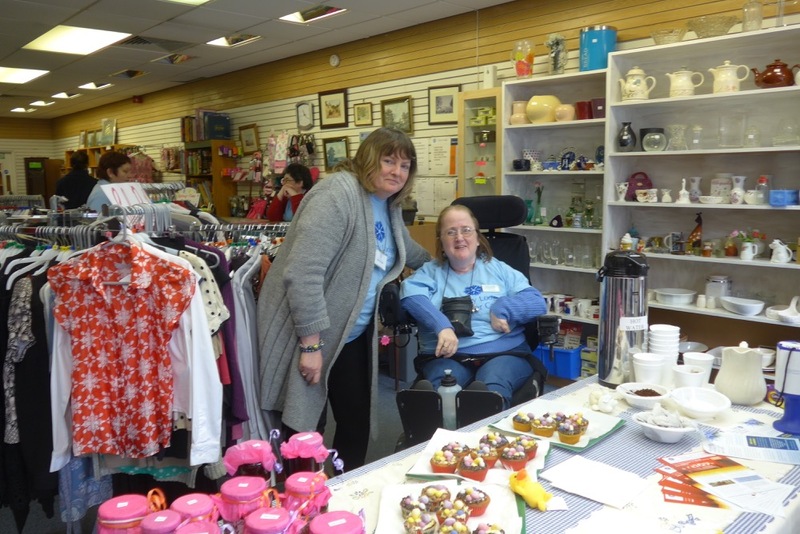 On behalf of everyone who has benefited from Cherry Lodge’s services, we are very grateful for all the money that the Borehamwood shop has raised in what have recently been very challenging trading conditions. 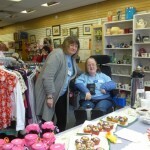 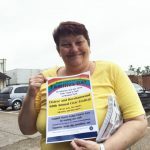 Click on the images below to see larger, complete photographs of staff, volunteers and celebrity shop visitor Liz Jones.